A communist critique of workerism, which also partly a self-critique of the authors' own tendencies. 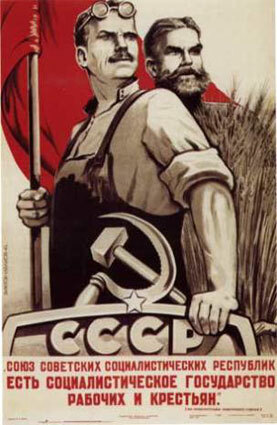 Workerism worships manual labour, the "work with hammers". Its vision of the proletarian is of the muscle-bound male. In rejecting office and shop work, it rejects a large part of female wage-workers, revealing itself as sexist. Workerism has been present in the workers' movement from the beginning. The earliest workers societies were Christian inspired, and praised diligence thrift and hard work. These moralistic ideas linger on in workerism, which is a remaining bastion of Christian ideology within the working class. The strongest proponents of workerism are not manual workers who have had no choice in their labour, but ex-marginals who make a moral decision to become a "revolutionary" manual worker. Their advocacy of workerism is a compensation for their lack of sureness about their own class status, and a moral condemnation of proletarians who are willing to make different choices. In its theory, workerism sees revolution arising from an escalation of the day to day struggles of workers in capitalism. The history of revolutions contradicts this theory again and again. The French and Russian revolutions were triggered by women's struggles. The German and Portuguese revolutions were triggered by mutinies. The Paris 68 revolution was triggered by a student struggle. Workerism deals with history's falsification of its theory not by correcting the theory, but by the falsification of history. In each case the role played by non-workers is marginalised or denied. Revolutionary theory instead analyses the real events in order to understand the moments of weakness in capitalism. The search for crucial fractions within the proletariat, whose struggle is privileged, reveals a hierarchical perspective held by the workerist. It stems from the view that communism is a program already framed which just needs troops to put it into practise. This outlook is a hangover from antique socialism such as 2nd International style social democracy, or syndicalism. This type of theory sees class struggle as a form of (bourgeois) war, with foot-soldiers and generals. The "revolutionary" determines the programme, the workers put it into practise. Workerism and intellectualism are opposites but are not opposed. They complement one another. Thought and action are separated, the workers must put the theorist's ideas into practise. Workerists often have their own critique of intellectuals, but this is only to be applied to other intellectuals, not the workerist himself. The workers must shun other intellectuals, but not the workerist, who pretends to be something other than a specialised thinker. Workerism maintains the opposition of thought and action, and the de facto privilege of thought, which are inherent in capitalism. The aim of the communist movement is not a workers' state, or a proletarian dictatorship. It is the abolition of all classes in the human community created through anti-capitalist struggle. One comment made in response to this text was that there is a reason the workerism "reveals itself as sexist". Workerism corresponds to a particular composition of capital, where the model family unit consists of a male factory worker and a stay-at-home wife. Workerism is sexist as it corresponds to a sexist (now superseded) composition of capital.